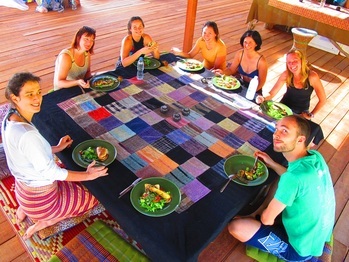 Join us on this 3 night/4 day retreat to experience the power of communicating with compassion, clarity and authenticity surrounded by nature. Laurence Gilliot and Poncho Cottier have been inspired for several years by Nonviolent Communication, Conscious Language and Mindfulness. What we tell ourselves and others can be a great source of joy but it can also create suffering. We will introduce the practice of Compassionate Communication, inspired by Non-Violent Communication, mindfulness and Conscious language. We will do many practical exercises to become familiar with this tool and be able to integrate it more easily into our life. 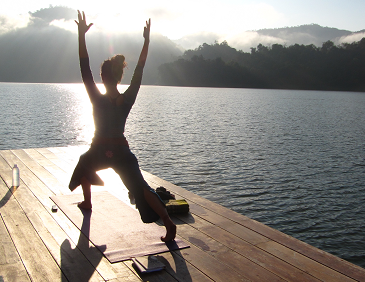 Yoga classes will be for mixed levels, so beginners are most welcome! Poncho and Laurence have studied a variety of yoga styles including Anusara, Hatha yoga, Vinyasa, Yin yoga, restorative yoga, partner yoga and acro-yoga. 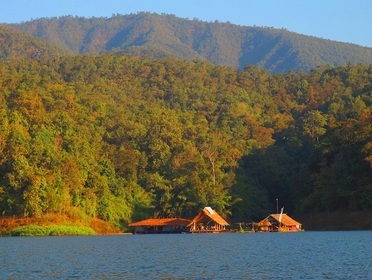 On 15 January, we will leave together from Chiang Mai by mini-van. 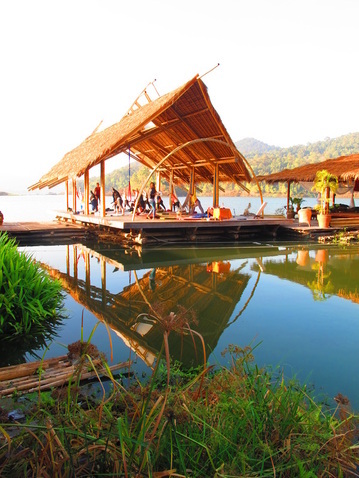 Once at the lake, Om Waters longtail boat will bring us on a beautiful 20 min ride to Om Waters retreat center. On 18 January, we will return together to Chiang Mai.